Well Christmas is nearly upon us and we would just like to take the time to wish everyone a very Merry Christmas and a safe and Happy New Year!! We hope that everyone has a very enjoyable two weeks, and that you get lots of presents :) we shall see you all in 2014 with lots of new things in store. We are already working hard to make sure that Springfield Pre-School continues to provide a fantastic start to your child's education. We open our doors on Monday 6th January 2014!! Polite reminder: With effect from January 2014 our session fees will be increasing to £6.75 per session. Lunch Club and Snack fees are unaffected and remain the same as they are now. You will have noticed a slight change to how we are labelling the coat racks. To help the children to be independent and find their own peg we have moved the photos to the bottom of the coat rack, so that they are at a height better suited for the children. Parents will therefore need to take extra care when looking for their child’s peg at the beginning of a session. We will soon be changing from photos to the symbols/pictures that are currently used on your child’s tray and that are used again during our snack time routine. We have found that the symbols are proving a lot easier for the children to recognise and are helping immensely with the early stage of letter recognition. We hope parents will embrace this change and assist their children as needed. Our phone number is 07960 983423 or email us at; springfieldpreschool@hotmail.co.uk and check our website www.springfieldpreschool.co.uk and Facebook page for up-to-date information. Springfield Pre-School would like to wish you all a very Merry Christmas and a safe and Happy New Year, see you in 2014!! Next week is time for our annual Christmas concert. We will be having two performances; Monday 16th & Tuesday 17th December at 4.00pm, at pre-school. Children will need to be at pre-school for 3.45pm so that we have time to get our costumes sorted. We will then aim to open the doors as close to 4.00pm as we can. The concert should last for around 20 minutes and there will be some light refreshments afterwards. Both concerts are ticket only, the Monday concert is FULL and notices have been issued today to those parents requesting extra tickets for the Tuesday performance. Extra tickets will only be issued once payment of £1 a ticket has been made. All costumes will be provided by pre-school. Although we may request a certain colour top for some of our roles, for example a white top for those playing angels, but this should be minimal. Well, yesterday's Christmas Fair was a great success. We were busy from start to finish and managed to raise an amazing £940!!! A massive thank you to everyone involved; from all those who helped before and on the day and especially to everyone who came down and spent their hard earned pennies! Our Christmas Fair will soon be here! Please remember to get those raffle tickets sold and back to pre-school by Friday or Saturday. We still need bottles and sweet cups as well as any items suitable for our Christmas present tombola. And we are looking forward to seeing lots of cakes; please bring them to pre-school on Friday or on Saturday anytime after 11.00am. The fair will start at 2.00pm on Saturday and will see Santa join us in his Grotto! This Saturday it’s our Christmas Fair from 2pm – 4pm!! But there is still lots to do and lots you can help with. Don’t forget that it’s non-uniform week this week and all we ask is that in return you donate a bottle for our bottle tombola; it can be anything you like – wine, beer, perfume – anything you like as long as it’s in a bottle! We have some great raffle prizes including a Christmas Hamper filled with lots of lovely Christmas treats. So get selling those tickets and return them to pre-school by Friday. A big thank you to all those of you who have put their names down to help on our stalls, there are still some stalls left so if you can spare some time please put your name down and join in the fun. · Donations of Christmas chocolates/sweets e.g. selection boxes etc. There is even a free mulled wine included with the entrance fee of £1 per adult. If you would like to help with this event, or need to know more please speak to Jayne or any of our committee - Pete Ellis – Chairperson (Sienna Ellis’ dad) and Debbie Allen – Secretary (Thomas Allen’s mum). Thank you for your support, it really is appreciated! Well it's not long now till our Christmas Fair - Saturday 7th December, at pre-school, from 2pm - 4pm. There will be lots to do for everyone and Santa will be in his Grotto!! We will be having a raffle (tickets for sale coming home this week) as well as a BBQ, cakes, bottle tombola, decorate a biscuit, face painting, lucky dip, sweet & chocolate tombola and lots more! There will be the chance to arrange a Letter from Santa for your little ones (including reindeer food!) and for the adults we have a Christmas Quiz to test your knowledge!! We are still on the lookout for donations and raffle prizes and we will need lots of your lovely homemade cakes too! If you would like any more details about the fair, or would like to help out in any way please let Jayne know. We hope to see all of you there on Saturday 7th December and let's see if we can make this our best Christmas Fair ever!! We were very lucky to have the local fire service visit pre-school last week as part of our topic 'People Who Help Us'. This week we are looking forward to a visit from our local police officers!! It's that time of year again when some of our parents need to be thinking about applying for infant or primary school places for their children. If your child was born between 1st September 2009 and 31st August 2010 you will need to apply for an infant or primary school place for them. They will then start Reception Year in September 2014. Both Derbyshire County Council and Nottinghamshire County Council operate an online application system which is available now and all applications must be made by midnight on Wednesday 15th January 2014. If you have any questions, or need any help, please speak to Jayne who will be only too happy to help as much as she can. We would like to welcome a couple of new staff faces to pre-school. Starting this week we have Kymberley and then next week we welcome another Sarah! We are really looking forward to working with them and think they will both make a great addition to our fantastic team of staff. We hope everyone had a lovely half term break and is ready for a busy term. Our topic for the first few weeks is 'People who help us' and we are hoping to have some special visitors at pre-school - watch this space! After this our next topic will be Christmas!! We have now allocated sessions for January 2014 so please check your child's drawer and if you have any questions please speak to Jayne as soon as you can. All our morning sessions are now full, with a handful of spaces available on most afternoons. Christmas Cards have now been received and placed in the children's drawers, and they look fantastic! And photos should be with us in the next couple of weeks!! Halloween Fun & Committee Meeting!! So as we start our last week of this term just a couple of reminders for everyone. Firstly we shall be having a bit of Halloween fun with the children over the week and all children are invited to wear their fancy dress outfits. We will also be face painting again (now we know how good the staff are at it!!) and we have asked all parents to donate £1 per child so that we can buy some more face paints. If you haven't yet made your donation please remember to bring it in this week - thank you. On Wednesday 23rd October we will be having a committee meeting at The Risley Park Pub at 7.30pm. This will be to plan and organise our upcoming Christmas Fair; we are always on the look out for new ideas and helpers so please feel free to pop along and lend a hand, it really is appreciated - see you there! We have had great fun today getting our photos taken, even the staff joined in!! Tempest Photography were absolutely fantastic and all the photos taken were beautiful. Children who had their photo taken today will be bringing home proofs for you to look at and make the hard decision as to which photos you like and how many you need! The photos will make ideal Christmas presents for those hard to buy for relatives and all orders will generate commission for pre-school. Everyone wins! Please get your orders back to pre-school by Wednesday 23rd October - thank you. Springfield Pre-School are looking to recruit new members of staff to join its lively and successful team of practitioners. In the first instance the positions will be ‘Supply Cover’ with the option to increase hours should the need occur. The role will provide cover for instances of illness, holidays, courses or where extra staff is needed to ensure ratios are met at all times. Applicants should be available at extremely short notice. Applicants should have a passion for childcare, have relevant experience and preferably hold an appropriate Level 3 qualification. You should be able to work on your own as well as in a team and use your initiative. Salary will be commensurate with experience and level of qualification. Springfield Pre-School is well established and provides high quality childcare and education for children aged between 2 and 5 years, we have recently been awarded a ‘Good’ judgement by Ofsted and are striving towards being an ‘Outstanding’ setting. We are a member of the Pre-School Learning Alliance and are a registered charity. Applicants should contact Jayne Phipps on 07960 983423 or email at springfieldpreschool@hotmail.co.uk for an application form. All applications should be accompanied by an up-to-date CV. All appointments will be subject to a full Enhanced Disclosure & Barring Service check. Monday 30th September sees our first Committee Meeting of the year and it also includes our AGM. The meeting will be at The Risley Park Pub at 7.30pm and everyone is welcome. The AGM will see a review of the past year as well as the election of committee members for the forthcoming year. All positions are available so should anyone wish to join our current team then please come along. The committee meeting will focus on fundraising events, especially our first major one of the year our Christmas Fair. The committee is a vital part of pre-school life and we would encourage all our parents to get involved in whatever way they can. The committee ensures that pre-school is managed and run effectively whilst at the same time raising as much money as possible so that pre-school can continue to operate to the high standards that we demand. This is all about making Springfield Pre-School the best pre-school it can possibly be so please come along, meet the team and get involved. This week at pre-school we would like to ask all the children to bring in their favourite book that we can then use for either one-to-one story time or in our larger group story times. Well the school year has well and truly started and we hope that everyone had a lovely Summer break. For our first week back at pre-school we will be talking all about what we got up to during the holidays; did we go away anywhere? How did we get there? Did we have any days out? Where did we go? Who did we go with? Children are encouraged to bring in items that relate to what they did during the Summer holidays, perhaps a photo or a souvenir that will help spark a conversation. We will have lots of other things happening at pre-school over the coming months so please check out this page regularly, you can even sign up for email alerts or find us over on Facebook. Well the Summer holidays have well and truly started and we would just like to wish everyone a safe and happy break. We hope you all have a fabulous time and look forward to hearing all about your holidays when we get back in September. Please check out our Facebook page for up-to-date information as well as some great photos of us all enjoying the recent good weather. We would like to wish all those moving onto 'big school' or school nursery the very best of luck, we will miss you all and hope you all enjoy your new schools. Well here we are in the last week of the school year. A time to have some fun and celebrate all that we have achieved over the year. But it is also a sad time as we say goodbye to all those children moving onto 'big school'. We hope that everyone has enjoyed their time at Springfield, as we have really enjoyed you being here!! We would like to wish all our leavers lots of luck for their new schools, but we know they are all going to do fantastically. We have had our Leavers Concert in which all the children were fantastic, and we even had some solo performers! So a big well done to all of those for being brave and singing on their own (even if we did have quite a few renditions of The Rainbow Song!). This year sees the end of an era when we say goodbye to the Dawkins/Saville clan who have had 6 children attend pre-school over a 12 year period. Barbara Saville has been a loyal supporter, and friend, to Springfield and her very generous donation on Tuesday was very gratefully received and appreciated. We shall miss seeing you Barbara, but know that you are always welcome to pop in and say hello! We would like to wish all our children, parents, staff and committee a safe, happy and fun summer holidays and look forward to seeing lots of you, and some new faces, in September! First day back is Thursday 5th September!! 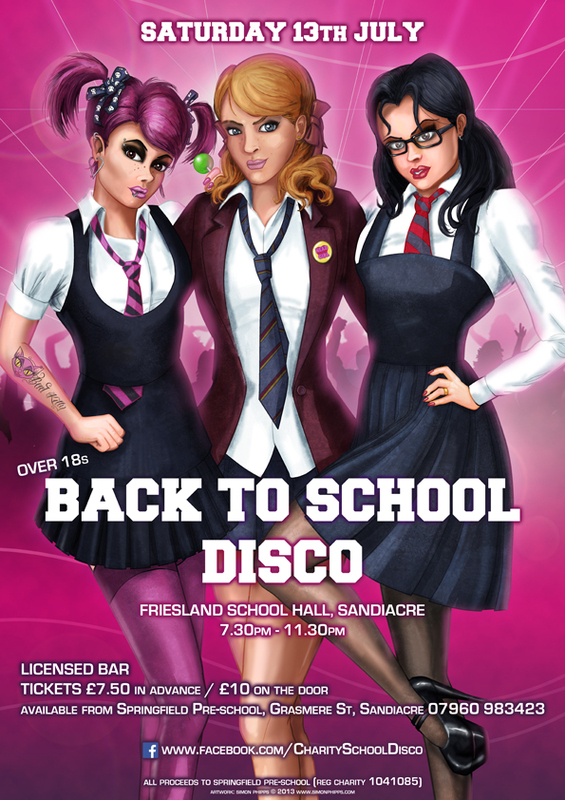 Our next fundraising event is on Saturday 13th July and is our 'Back 2 School Disco'. To be held at Friesland School Hall from 7.30pm - 11.30pm. A chance to boogie the night away to music from your school days. There will be a very reasonably priced bar as well as a tuck shop! Tickets are only £7.50 in advance and available from pre-school. All proceeds raised from this event go straight to pre-school. Please note this is an over-18's only event. Yesterday's Summer Fair raised an amazing £900!!!!! A big thank you goes out to everyone who supported this event. To those who helped set-up and clear away, to those manning the stalls, to all those who donated bottles and sweet cups, to the companies and local businesses that donated some fabulous raffle prizes and most importantly to everyone who came along and put their hand in their pocket and spent their hard earned cash, it really is very much appreciated. Without events like this we simply could not continue to provide the wealth of fantastic activities and resources that we do. It is ALWAYS our intention to do the absolute best we can for all the children that attend our pre-school and events like this help us to do this - THANK YOU! We just wanted to say a BIG thank you to everyone who has donated items for tomorrows Summer Fair, from all the bottles, sweet cups, strawberries & cream to all the amazing prizes for our raffle. If it were not for your kindness and generosity we would not be able to run events like this, so THANK YOU! The fun starts at 1pm till 4pm and we hope to see lots of you there. Come along and grab a burger and a complimentary drink (we have Pimms on offer!) and if the weather's good perhaps a play in our new sand pit! Tomorrow is our Summer Fair!!! Please keep your fingers crossed that the weather stays nice for us. We have lots of fun stalls planned and have some great raffle prizes on offer. As well as our 'Great Springfield Bake-Off' for all you budding bakers out there. Please come along and support this event as all monies raised will go direct to support pre-school in ensuring that all that we offer for your children is of the highest standards. Our Summer Fair is nearly here! This Saturday 22nd June from 1pm - 4pm, there will be lots of fun for all the family, plenty of stalls and even our very own 'Great Springfield Bake-Off'. If you would like to enter our bake-off then entries need to represent the fair's theme of Strawberries & Cream. Entries can be a cake/bake of your choosing and need to be here by 1.30pm on Saturday. A minimum donation of £1 per entry is requested. All entries will be given a number and judged by our parent committee. We shall have two categories '13 years and under' and 'Adults'. Judging begins at 2pm. And fingers crossed the weather stays nice so we can all enjoy the BBQ and refreshments. Entry is £1 for adults with a complimentary drink. Children are free. Next week, 17th June, we are having a non-uniform week. A chance for your little one to wear their favourite outfits! And all we ask in return is that you make a donation of a bottle of something for our bottle tombola at our upcoming Summer Fair. Bottles of all descriptions are welcome whether it's a bottle of wine, or juice, or pop or even nail varnish - as long as it's a bottle it will be gratefully received. It's not long now till our Summer Fair on Saturday 22nd June from 1pm till 4 pm, which this year will have a 'Strawberries & Cream' theme. There will be lots of fun stalls for all the family including a BBQ, raffle, lucky dip, bottle tombola, cakes, refreshments etc. As well as our very own 'Great Springfield Bake-Off' competition! We are still looking for prizes for our raffle so if you know of anyone who would be willing to make a donation please let us know. We also need plenty of helpers either on the day or in the run-up to the fair, so again if you can help out in any way please let Jayne know as soon as possible. If you know of anywhere that would be happy to display a poster advertising the fair please let Jayne know and we can sort a poster for you. The week of 17th June will be a 'Non-Uniform' week, all that we ask is that in return for your child wearing their favourite outfit or fancy dress you donate a bottle of some description...it can be a bottle of wine, or beer, or fizzy pop or perfume...in fact anything as long as it's in a bottle! We hope everyone is having a lovely half term break despite any rain! Just to confirm that pre-school re-opens on Monday 3rd June until Friday 19th July. We have a busy term ahead with our Summer Fair on Saturday 22nd June, School reports issued mid-July and our Back 2 School Disco on Saturday 13th July. We have been nominated for a 'What's on 4 Little Ones Award' in the 'Most Outstanding Committee Led Pre-School' category. Voting closes at 5pm on Tuesday 28th May. Do you remember the Smarties we sent home at Easter? Well lots of you returned the empty tubes full of loose change and we have finally managed to count it all...we have an amazing £134.46!!! Wow! This is an amazing result, thank you to everyone who enjoyed the smarties and returned those tubes full of pennies!! It really is appreciated and will help us re-stock our craft supplies! 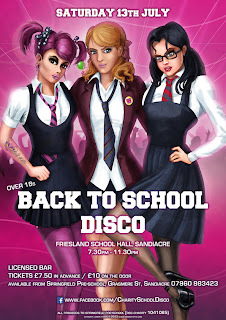 · Back 2 School disco has been organised, will also include tuck shop and bar (Jayne sorting out drinks etc.). Date confirmed as 13th July 7.30pm at Friesland School Sandiacre. · Advert has gone out in the Sandiacre and Stapleford Connections magazine. · Entry drink confirmed as Pimms – Jayne to buy the Pimms (or equivalent other brand) plus ingredients to go in it. · Stalls to be: decorate a biscuit , make a bracelet, tattoos, sweet cup tombola, lucky dip, bottle tombola, pick a pound, plastic fruit in Strawberry Jelly (preschool to make up the night before), cakes, strawberries & cream. · Additional stalls for outside companies i.e. Fashion House etc (charge £10 per stall). · Also: BBQ (Pete to organise supplies), guess the weight of the Strawberry & Cream layered cake (Debbie to make and bring on the morning of the fayre), Bouncy Castle (Pete looking into), Pete to speak to Bluebell Dairy re. Ice-cream Van. · Jayne to research possible idea of ‘let a balloon go’ (balloon race), balloons to have tags attached (balloons for the race will be bought and let go at the fayre ), prize to be given for first tag to be returned when found (need a good prize for the winner). Balloons to be red & white in keeping with the Strawberry & Cream theme. · Donkey rides – look into idea of having donkeys at the Fayre provided by Lanes Farm at Risley (Pete to look into and Jayne to look at Pre-Schools insurance). · Debbie to see if can get the Strawberries & Cream for free by speaking to co-op, lidl etc. · Pete has organised a letter out to parents asking for help with raffle prizes plus help on the day (manning stalls etc). Non uniform week will be the week before the Summer Fayre (bring a bottle for the bottle tombola). Plans for Autumn Term: Children’s Christmas Cards, Photographer. As you will hopefully now be aware, we have set a date for our Summer Fayre (Saturday 22nd June) but as always, we need your help! Ensure that the sun is shining on the day! If you feel you can help with any or all of the above OR if you have any ideas or feedback you would like to share, please contact Jayne. We are hoping to make this the biggest and best Fayre to date and really need to raise funds to maintain the high standards at Springfield so anything you can do to help would be greatly appreciated. I very much look forward to seeing you all at the Summer Fayre and would like to thank you for your continued support. Please note that our next committee meeting has been changed to Monday 20th May, still at 8pm and still at The Risley Park pub. The meeting will be primarily to discuss our upcoming fundraising events; the Summer Fair and our 'School's Out' adult disco. We need plenty of helpers and ideas for both events so if you think you can help out in anyway please pop along to the meeting and join in the fun. Everyone is welcome, in fact the more the merrier!! We have, after much thought and consideration, decided to cancel the upcoming Sports Day & Spring Fundraiser. This decision was not taken lightly, we felt that due to the extremely high numbers of children at pre-school that cancelling the Friday lunch club and afternoon session was simply not feasible nor fair to those affected children. We will now have a cake sale on Wednesday 1st May, with our next major fundraising event then being the Summer Fair on Saturday 22nd June. We hope everyone has had a lovely Easter holidays and are now re-charged for the Summer term which starts tomorrow, Monday 15th April. We are now full on most sessions, and are busy compiling our 'waiting list' for new starters in September - get in early so you don't miss out! Our Rising 5's group starts this week, specifically for those children who will be starting Reception Year in September. We will be doing lots of fun activities which we hope will give the children lots to think and talk about. Friday 26th April is our Sports Day afternoon and Spring fundraiser so plenty of running around followed by a chocolate tombola, raffle, cakes and crafts. Kids Klub Video will be visiting on Thursday 16th May, so each child will get to star in the very own video adventure 'Down on the Farm'! A fun DVD is produced with all sales generating commission for pre-school. Zoolab will also be visiting in May, bringing along some creepy crawlies!! Monday 13th May we will be having a committee meeting to sort out the planning and preparation for this year's Summer Fair. The meeting will be at 8.00pm at The Risley Park Pub - everyone is welcome. Our Summer Fair will be on Saturday 22nd June so put the date in your diary! We are also hoping to hold an adults 'School Disco' - more details will follow very soon once dates and venue have been confirmed! Wow! We have been nominated for an award! Thank you to everyone who has nominated us in the 'Most Outstanding Committee Led Pre-School' category at the What's on 4 Little Ones Awards. Because of your nominations we are now through to the voting stage of the awards! So if you think we deserve to win please visit What's on 4 Little Ones Voting Page and cast your vote! A big thank you to everyone who helped us support Comic Relief on Friday, through selling cakes and a non-uniform day we managed to raise £61.50. If you like what we do at pre-school now is your chance to nominate us for an award! What's on 4 Little Ones Awards are now asking for nominations for this years awards. In order to qualify for an award we need to be nominated and nominations need to be in by this Friday, 8th March at 5pm!! So, if you think we're worthy of a mention please pop over to What's on 4 Little Ones Awards and give us a mention - perhaps in the Most Outstanding Committee Led Pre-School category? The Pre-School Learning Alliance, of whom we are a member, are organising a petition against the government’s recent announcement of changes to our working child to adult ratios. Under government proposals this would mean fewer staff employed to look after the youngest of our children. ‘We are aware that are a number of existing online petitions on this issue. However, it is unfortunate that the Government has so far chosen to ignore the view of tens of thousands of practitioners. We hope you will join us in supporting the Alliance’s Rewind on Ratios campaign and ask colleagues, family and friends to sign the e-petition over the next few weeks. NB: As the e-petition site does not permit petitions in the name of organisations, the petition is in the name of Neil Leitch, Alliance chief executive. This week we will be having our annual Parent Evenings on Wednesday 6th & Thursday 7th March. Any parent who has not already made an appointment but wish to do so should speak to Jayne to see if we can squeeze you in! This is your chance to find out about all the amazing things your children get up to whilst at pre-school and what we have in store for them over the coming months. All parents will get chance to have a look at their child's development file and speak to their child's key-person. Jayne will also be available to chat with. All appointment slots are 10 minutes long and we will do our utmost to ensure we run on time, your understanding and co-operation with this is greatly appreciated - thank you! Look who came to see us today!!! A big thank you to Derbyshire Fire Service for taking the time to pop by and let the children climb all over their fire engine and even play with the hose! Wow! A great time was had by all! On Monday 4th February we will be having a committee meeting at The Risley Park pub at 8.00pm. All parents/carers are invited to attend, this is your chance to get involved with the running of pre-school as well as help raise much needed funds to keep pre-school operational. The committee's role is to help the staff ensure that pre-school runs smoothly and efficiently but also to organise a number of fundraising events throughout the year. Fundraisers are a vital part of pre-school life because without them we would not be able to continue to provide high quality activities with wonderful resources in safe and comfortable surroundings. If you think you'd like to get involved please pop along on Monday evening, or speak to Jayne for more information. We look forward to seeing lots of you there! We have decided that due to the continuing snow we shall remain closed for the rest of today. We hope that parents appreciate that making the decision to close is never an easy one and one that is taken with the best interests of the children and staff at heart. We thank you for your understanding. Fingers crossed we shall be able to open tomorrow, but until then we hope everyone has a fun but very safe day in the snow! Pre-school will be closed today, Monday 21st January, due to the weather conditions. All affected parents will be notified by text. A decision as to whether we open for the afternoon session will be taken later and depend on weather and road conditions. In light of the snow today we made the decision, like some other local schools, to shut early at 1.30pm. This decision was not taken lightly and was made taking into account the weather and road conditions at the time as well as the condition of local pavements and the school grounds. Parents are advised to check this website regularly for updates during periods of bad weather as well as our Facebook page. Parents will be notified by text should pre-school decide to close. We take a decision to close pre-school very seriously and try to avoid doing so at all costs but in situations where we feel that the safety of our children and staff maybe compromised then we have no other choice but to close. During bad weather we take into consideration the safety of the access in and out of pre-school, as well as whether sufficient staff can make it to pre-school to ensure that children are adequately and safely supervised. A reminder for parents with children born between 01.09.08 and 31.08.09 that the closing date for primary school places starting in September 2013 is fast approaching. All applications must be made direct to Derbyshire County Council by midnight on Tuesday 15th January 2013. Any questions please speak to Jayne. Just a reminder that the new term starts on Tuesday 8th January 2013! We hope that everyone has had a lovely Christmas and would like to wish you all a very Happy & Healthy New Year!